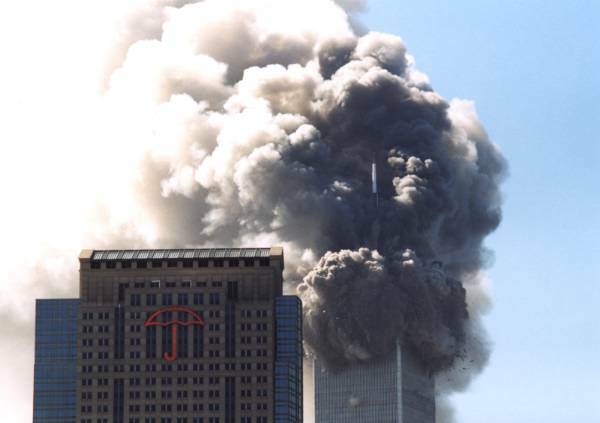 The amount of energy required to pulverise the concrete in the North WTC tower, then heat up and expand the dust cloud was more than ten times that available from a gravity-driven collapse. Several people have said this, but Jim Hoffman lays out the figures most comprehensively. Here's his conclusion. The official explanation that the Twin Tower collapses were gravity-driven events appears insufficient to account for the documented energy flows. This appears to be supported with plenty of figures, but we see plenty of room for alternative views. We detail some below, but please keep in mind that we’re in no way qualified to say these are correct. There’s no major structural engineering experience here, no in-depth knowledge of physics: these pages are probably the most likely to be embarrassingly wrong than anything else on this site. Or to put it another way, if you don’t have the scientific knowledge to evaluate our arguments, please don’t assume we’re correct simply because that’s the conclusion you’d prefer. We’re told that the energy required to collapse the towers and produce the dust cloud effects was more than ten times the potential energy available through a straightforward gravitational collapse. But how much energy did this source contain? The magnitude of that source cannot be determined with much precision thanks to the secrecy surrounding details of the towers' construction. However, FEMA's Building Performance Assessment Report gives an estimate: "Construction of WTC 1 resulted in the storage of more than 4 x 10^11 joules of potential energy over the 1,368-foot height of the structure". For example, the construction of WTC 1 resulted in the storage of more than 3 x 10^12 J of potential energy over the 1,360 ft height of the structure. That’s perhaps 7.5 times the figure estimated by the FEMA report, and in a curiously similar sentence. We might hope the more official FEMA figure is correct, but as neither documents show any calculations it’s impossible to say for sure. It does seem unwise to take either figure as a meaningful maximum, though. In addition, whatever the energy in the building, there were additional sources of energy available to be released as heat. Hoffman asserts that most of the dust was concrete, but this may not be true. Hoffman’s calculations on pulverising, then heating the dust miss one point. And although Hoffman assumes the dust cloud expansion is heat-driven, there may have been other contributing factors. We’ve already made our lack of qualifications clear, though. Why should you believe us? No reason at all. So let’s say we’re wrong on every single point, and Hoffman is 100% correct. What would that imply? We already know that Hoffman's article treats 4 x 10^11 joules as the amount of energy available for release in the towers from a gravitational collapse. And according to his conclusion this is less than one tenth of the energy required. Therefore we need to multiply this figure by at least 9, giving 36 x 10^11 joules of energy required from some other source. (And as Hoffman keeps saying the effects need more than ten times this amount of energy, and he’s being conservative, then this is an absolute minimum). Now if this was to be provided by explosives, then how much might be required? Well, a metric ton (1,000 KG) of TNT has 4.184 * 10^9 joules ( http://www.answers.com/topic/megaton ). A ton is a lot of explosives, but not enough for us: we have to get to 36 x 10^11 joules. Which suggests we would need 860.420 tons (aka 860,420 kilogrammes, or 1,896,901 pounds) of TNT to produce the WTC collapse and its observed results. Nearly 1.9 million pounds of explosives placed without noticing? Per tower? How many detonators do you think might be required for that? How much cabling? Is this sounding just a tiny bit unlikely to anyone? There are more powerful explosives, of course: C4 will offer 34% more energy, for instance, reducing out requirements to 642,104 kilogrammes. Let's assume the conspirators used something ten times more powerful still: now we're down to 64,210 kg, or 141,558 pounds of this mystery explosive. Per tower. We're being generous here, but this still isn't sounding very plausible. Does that look like the result of a nuclear explosion to you? Or just a puff of smoke or dust as a floor collapses inside the building? If such a massive amount of explosive energy is really required, then shouldn’t it have been more obvious, both audibly and in the pictures? None of this proves anything, of course, however it does suggest one of two options. Either Hoffmans calculations are correct, in which case he's managed to prove that it's most unlikely conventional explosives can possibly have brought down the WTC. Or Hoffmans calculations are wrong, in which case we can conclude nothing from them at all. UPDATE: read another perspective on Hoffmans calculations in an interesting paper by Dr Frank Greening, which he’s allowed us to host here.